I have been using a new body and hair oil lately, the divine and lovely BUTTERelixir. This review will be short because guys, BUTTER oil is short and simple. It has four honest ingredients. That’s it. The oil is a base of sweet almond and argan oil, and it is gently fragranced with lavender and chamomile oils. That’s it. I first saw BUTTERelixir on social media and was charmed and enticed by this golden beauty with the delicious name. 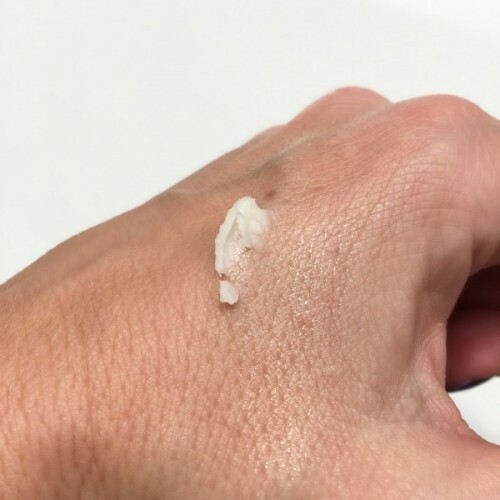 BUTTERelixir is perfect for those with skin sensitivities as well. The essential oils used for fragrance have not caused any irritation for me or my husband. He is prone to dry itchy scalp and has sensitive skin. Scalp massages with BUTTERelixir before shampoos have made a huge difference for him and he is itch free. A friend has told me BUTTER is the only oil she can use on her skin without getting eczema flare-ups. I am an oil fanatic and was excited to add another oil to my skincare regime. I apply BUTTERelixir to my skin after showering, when my skin is slightly damp and my skin drinks it up. Almond and argan oils are not “greasy” or heavy oils at all, and are perfect for adding moisture vs. just oiling up the skin. I find almond oil works best when I have warmed the oil in my hands before applying, aiding absorption. Almond oil is hypoallergenic, making it perfect for sensitive, even baby skin. BUTTER does have a Baby Oil as well. Almond oil is an antioxidant ingredient, and can even protect skin against UV rays, keeping your skin soft and supple. A 2007 study by the Departments of Pharmaceutics at Hamdard University in India found it to both prevent initial UV damage and slow down the effects of UV damage after it happened. Argan oil is a beauty superhero, and is popping up in everything from skincare to makeup. Argan oi is rich in vitamins A and E, as well as antioxidants like Omega fatty and lineolic acids, making argan a great oil for healing skin woes while helping with inflammation. Vitamin e helps heal skin, especially scars, and helps repair and improve the appearance of skin. Argan oil is also great for hair, and I apply a drop or two of BUTTERelixir to my hair while it is still damp. Or, if I have flyaways or any frizz at all, I take a small amout of BUTTERelixir and rub it between my hands. Then I pull it through the ends of my hair for soft shine and a gentle scent. • Ingredients: Soy Bean oil, Sunflower oil, Bees Wax, Hemp oil, Avocado oil, Jojoba oil, Cacao Butter, Shea Butter, Vitamin E, Aloe Vera, Argan oil, Vanilla and Cardamom. 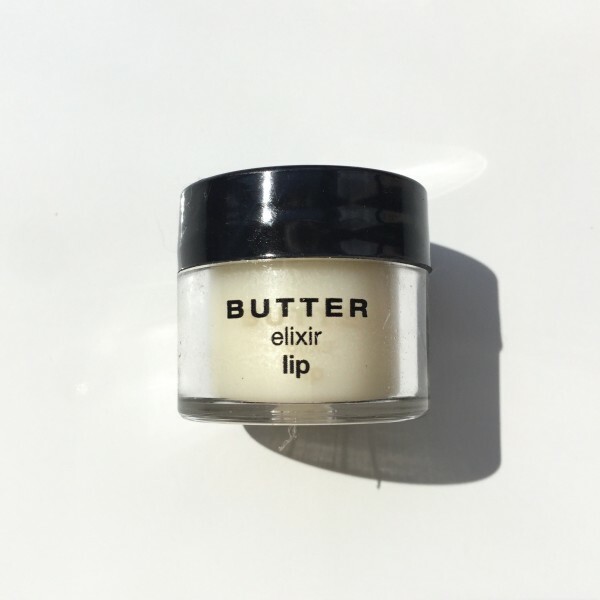 BUTTERelixir lip has a gorgeous silky and melty texture. Love! Bhakti is for yogis at heart. BUTTERelixir bhakti is a labor of love as it takes 3 months to create using a layering process. Virgin Organic Sesame oil, Jasmine, Mysore Sandalwood and Myrrh are combined slowly over the course of a month and then the entire mixture is aged for two months allowing the extracts to bind together. The result is a rich silky texture with an interweaving earthy, smokey, and sweet scent. In Sanskrit, Bhakti means devotion to oneself or something higher. The romantic quality of Jasmine paired with the deep notes of Sandalwood and Myrrh create a dynamic combination that is simply divine. Omg doesn’t that sound heavenly? Sounds like my kind of fragrance! 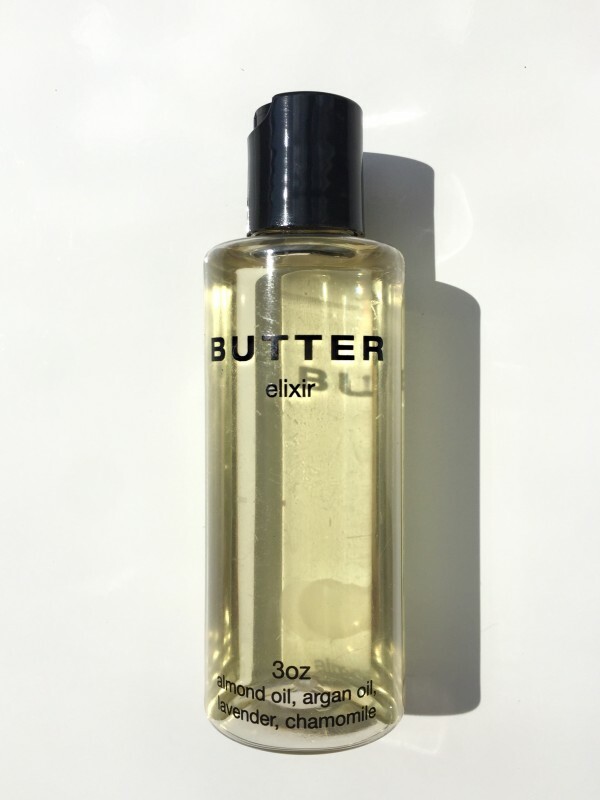 If you have dry skin that is prone to sensitivities, or just want a simple, clean and effective body oil, add BUTTERelixir to your skincare routine. Buy BUTTERelixir and their products online here. Free shipping on US orders over $35 right now. Canadian customers, shipping is $25 US.